Will buy vehicles and negotiate on the spot. Please be aware we only buy complete or near complete vehicles. QB Copper Recycling buys complete vehicles to recycle. There are many valuable metals in vehicles, and we have the experience to wreck, dismantle, melt & recycle the vehicles and provide our customers with a cash payment for the recycling. Cars are comprised mostly of steel. In fact, over 65 percent of the body of a car is steel. Steel is an alloy of iron and carbon. The second most used metal in a car is aluminum. Both are recycled, along with the many other metals in the car such as copper, platinum, rhodium, palladium, lead, tin, among others. The vehicles metals vary; just as the prices of the metals. QB Copper pays the current scrap metal rates, so our customers can rely on a fair price for their cars, trucks, SUVs, 4x4s, etc. With the many different types of metals in the car, as well as the steel, the car must be dismantled prior to being processed for recycling. For example, stainless steel is the main component of the exhaust’s construction. Rhodium and palladium are used in catalytic converters and are a metal that is more valuable than other metals found in the car. The average weight of a car is between 3,000 and 4,500 lbs. The majority of the weight is in steel, followed by aluminum. The batteries of vehicles include lead that can be extracted along with the protective metal zinc, which can also be extracted for recycling. Recycling cars is a way to contribute to a healthier environment. Recycling cars is also a way to profit from the car. Old cars and scrap are best to have recycled. The recycling of the cars saves the environment from the harmful misuse of landfills. Recycling is preserving resources and cutting down on greenhouse fuels. 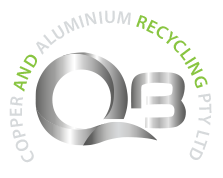 With recycling cars with QB Copper Recycling, you have a recycler that provides the services you require, including the vehicle pick up, and pays an upfront payment for the car or truck. QB Copper Recycling pays cash for cars of every make & condition. Cars ready for recycling include old and scrap condition cars. Yes. There are exceptions to the rule. If the car is a classic, obviously, the owner might think twice about having it recycled. We pay cash for cars and handle all paperwork for the sale of the car to us. We provide free pickup service in Perth; as well as an easy to access yard in Bentley where you can have the car evaluated, weighed, and be paid cash for the car. We provide all recycling services, including the dismantling of the vehicle, the melting of the metals, and the metal recycling at our yard in Bentley. QB Copper Recycling is a fully licensed and insured recycler in Perth. For more information on our services, or to request a car valuation, please contact us at the number below. We can also be reached through our “Enquiry” form at the top right of this page. Car owners with cars to be recycled are also welcomed to visit our Bentley yard.